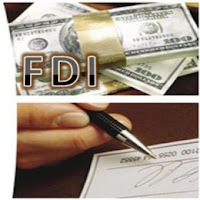 The government has cleared 20 foreign direct investment (FDI) proposals worth Rs 1,034.37 crore on February 10. The proposals were cleared following recommendations of the Foreign Investment Promotion Board (FIPB). Proposals from the Singapore-based Fluke South East Asia Pte, APF II India Investments Mauritius and Edict Pharmaceuticals, were cleared, which envisaged a total investment of Rs 1,034.37 crore. The FIPB cleared Singapore-based Fluke South East Asia Pte's Rs 400 crore proposal to incorporate an investing company to make downstream investments in other Indian firms engaged in wholesale trading and related activities. Further, Mauritius- based APF II India Investments involving investment of Rs 300 crore and Edict Pharmaceuticals' proposal to induct Rs 171.53 crore by way of transfer of 100% equity to a foreign investor has also been cleared.